The hydraulic cylinder barrel is a seamless cylinder designed to contain pressure within the component. Designs vary from type to type, but a typical cylinder barrel has a surface finish of 4 to 16 µm and is honed internally to achieve the right diameter. Single acting cylinders have welded ports at the base end of the barrel. Double acting cylinders have ports at both ends, allowing both sides of the barrel (divided by the piston) to be pressurised in turn. The cylinder base or cap seals off the pressure chamber at each end of the cylinder. Some cylinders have a welded base, while others use an O-ring to separate the cap and the barrel. In tandem cylinders, the base allows entrance for the piston shaft of its attached cylinder. The cylinder head is the end through which the piston rod protrudes and the force is delivered. The head can be attached to the barrel through a spring ring, a screw connection or occasionally by welding. The inside surface of the head is grooved to accommodate piston rod seals, glands and a rod wiper. The glands prevent oil leaking outside the cylinder, while the wiper removes surplus hydraulic fluid from the piston shaft after the outward stroke. The piston itself is a round surface that bisects the barrel into two pressure chambers. These can be equal or different in size, depending on the design and pressure requirements. A seal is achieved through special guide rings and piston seals; isolating hydraulic fluid and pressure in each chamber. Piston movement is triggered when there is a pressure differential in one of the two chambers. The piston rod or shaft is attached to the piston surface and protrudes through the cylinder head. 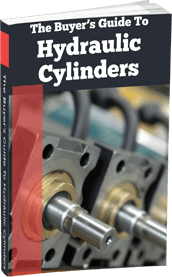 Most hydraulic cylinders have only one piston rod, although non-differential cylinders have two - one at the base and another at the head. Piston rods are subjected to high tolerances and are usually made from cold rolled or stainless steel with a hard chrome plated surface. 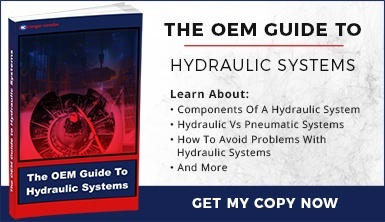 Hydraulic cylinders use a variety of seals to maintain the integrity of the component under pressure. The most important are the piston seals and rod seals, which prevent the build-up of friction and keep the pressure chamber free of contaminants. Specialist seals are needed for cylinders that operate under high pressures, or extremes of high or low temperature. Materials include nitrile rubber, viton (a fluorocarbon compound) and polyurethane. These are the main components. 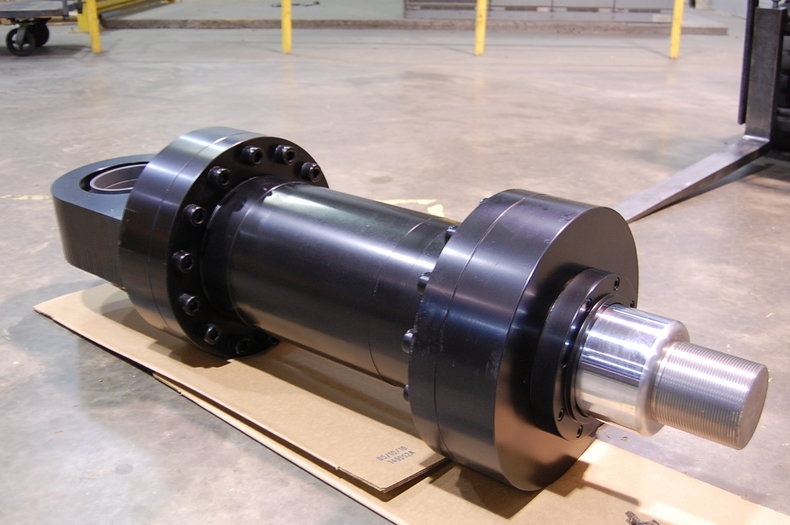 Hydraulic cylinders also include various ports through which hydraulic fluid can enter and depart, eye brackets, cushions, ball valves, pivot pins and detachable mountings. Every component is designed to fulfil a specific function relevant to its application, which is why there are so many different types of hydraulic cylinder. 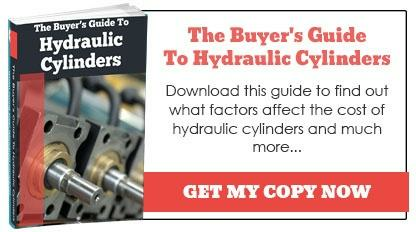 More information can be found in our Buyers Guide To Hydraulic Cylinders. Download a copy today for free by clicking here.